Bees Abroad are supplying an exciting practical new teaching aid to beekeeping trainers in developing countries. 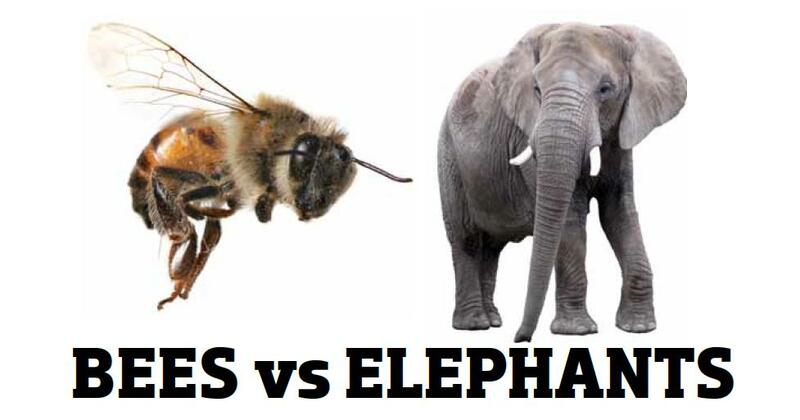 The virtual hive or visual hive provides a comprehensive photographic guide to the frames and conditions that can generally be found within a typical brood box at various times of the season. 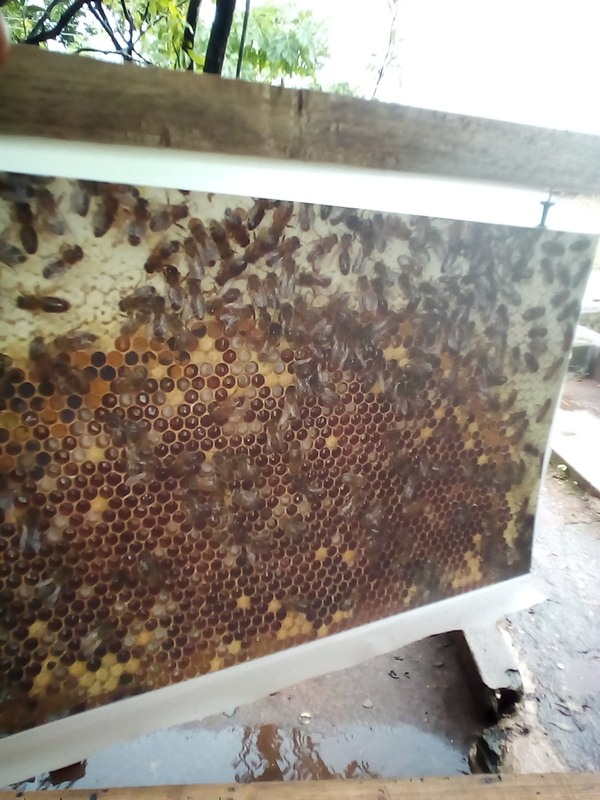 Bees Abroad trainers attach the photographs of brood frames to top bars/frames, then place them in a hive to make a visual hive – without a bee in sight! Using the visual hive as a guide, new beekeepers learn how to relate and identify conditions within their own hive and take any actions required. This is an extremely useful teaching aid for new trainees who can be introduced to the theory and basics of beekeeping (bee cycle) out of season, under a variety of conditions e.g. 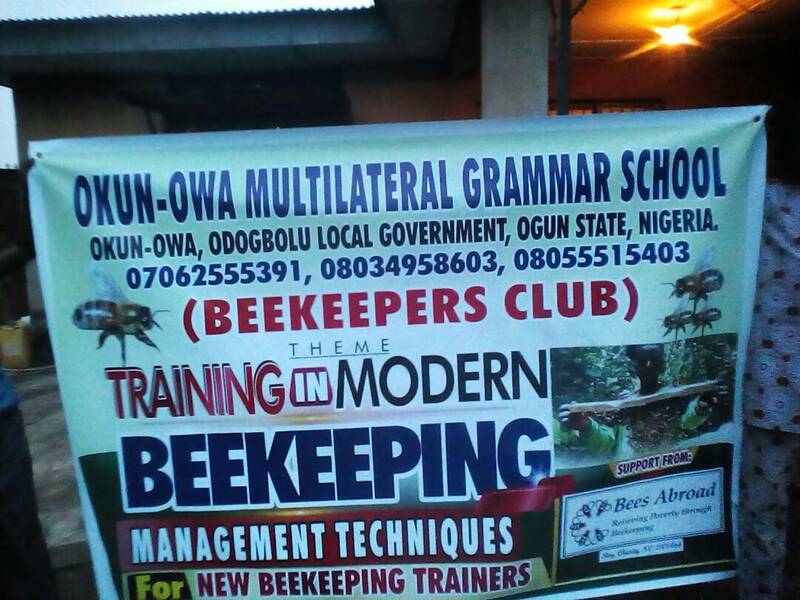 in the classroom or in the field as a lead into practicing beekeeping. It is also useful in circumstances where literacy may be an issue for trainees. 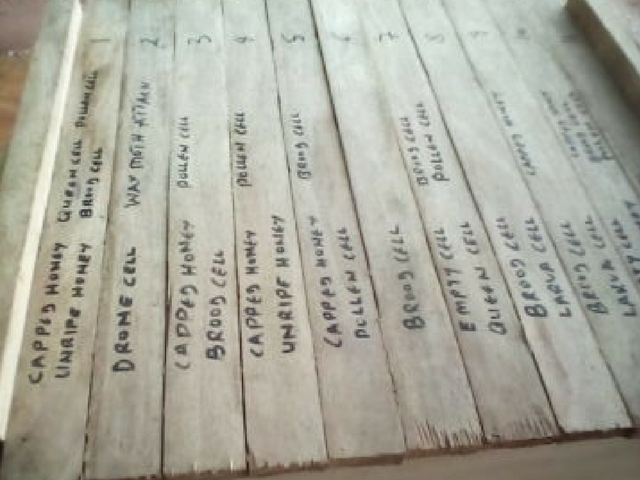 The pictures are of a visual hive used by the local Bees Abroad trainer in Nigeria to much acclaim from trainees, some of whom have never had the opportunity to see or study bees close up. Trainees can become familiar some conditions which may not be found within the same brood box at the same time, e.g. laying queen, queen cells, and sporadic drone brood, which may take a number of seasons to observe and understand. The high resolution photographs are printed back to back, with a matt finish on card, complete with notes detailing each frame. 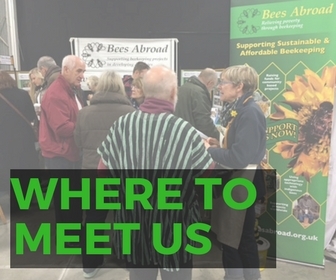 The photographs are supplied at a cost of £25.25 per pack of eleven and Bees Abroad post them out to trainers to be made up for projects and trainees. A donation of £25.25 will provide a training pack for one project.